In the heart of the hop area in West Flanders, a beer is made that fancies most of the beer lovers. The history of the brewery is connected to 2 trappist monasteries, one gave them their name, the other gave them their beer. Shortly after the Second World War, the Trappist Monastery St. Sixtus in Westvleteren was looking for somebody to commercialise their beer because they did not want to do that themselves anymore. 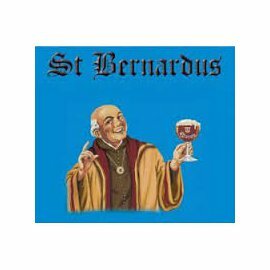 They gave a license to their cheesefactory and Brewery: St. Bernard was founded. The brew master from Westvleteren, Mathieu Szafranski (from Polish origin) became a partner in the brewery and brought along the recipes, the know-how and the St. Sixtus yeast strain. They started selling the trappist beers under the brand names Trappist Westvleteren, St. Sixtus or even later Sixtus.